Not all of us can afford to leave our day job, move to an abandoned, snow-bound hotel for the winter and write. And, let’s face it, that doesn’t always turn out well, anyway. So, how do you write while holding down a job and attending to all of your other responsibilities? A lot of us are tempted to put off writing until we have more free time. But here’s the thing: More free time doesn’t automatically mean you’ll use that time to write. In fact, you’ll probably do everything but write. Perfect conditions are no guarantee of writing success. More free time doesn’t mean you’ll use the time to write—you’ll do everything but write. Instead, you must make writing one of your top to-do’s, wedged right between your weekly grocery trip and your dry cleaning drop off. You may think, that doesn’t sound very romantic. And it’s not. But most of writing isn’t romantic at all. It’s you staring at a screen and willing words to materialize. Or you staring at a notebook and doing the same thing. Or you just staring, full stop. Here’s the good news: Writing requires just as much discipline as it does creativity. This means you can learn how to make writing a daily habit. It doesn’t have to compete with your day job. Below, let’s discuss the top tips for balancing what you have to do with what you want to do—and that’s write. Be sure to grab our list of inspiration from fellow writers that you can print and post near your computer. Write Every Single Day. No Exceptions. Those of us who write know that writing is not just a hobby; writing is fueled by a passion that flickers deep inside of the soul. Inextinguishable, this passion can only grow more intense when we actively attend it, and then, it threatens to consume all of our waking thoughts and haunt our dreams. 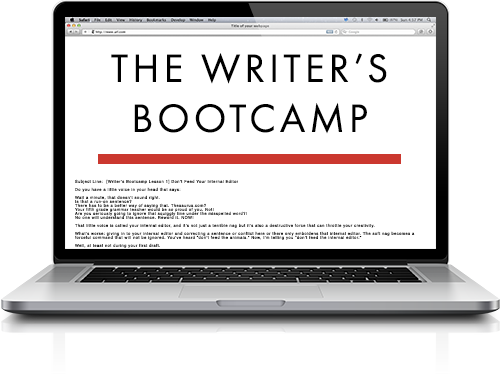 So, how can I possibly instruct you to write a rote 1,000 words every day between 6 to 8pm? You’re not a robot—you’re an artist of passion. True, but this bears repeating: Writing is a discipline. If you’ve ever overcome writer’s block, you know it happened because you wrote through it. The only way to write is to write. The more you write, the better you become. You’ll type faster, think faster, create more ideas, refine those ideas, and then create even better ideas. It all starts with a commitment to write daily. Some days you won’t feel like it, some days you will, but your feelings shouldn’t stop you from writing. Use those feelings as kindling for your fire. Besides, after you’ve established a daily writing routine, it’ll feel weird not to write. You probably have a predetermined time when you’re scheduled to be at work. If you have other obligations, you may have a set time for those events as well: Drop the kids off at school at 7:45am, doctor’s appointment at 10:30am, meet with colleague for late lunch at 2pm, network mixer at 6:30pm, and so on. You’ve got a busy schedule, but that’s all the more reason to add writing to it. 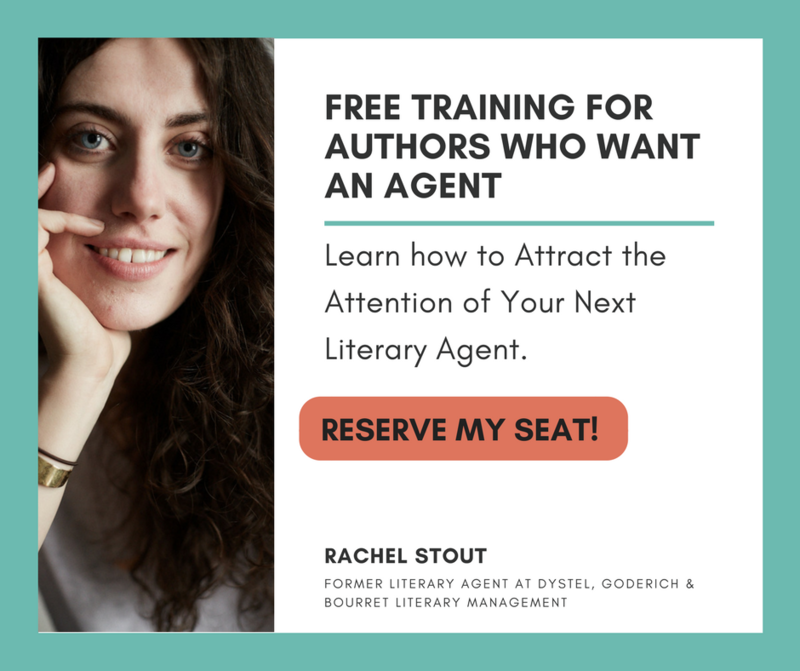 You don’t want writing to be an afterthought. It needs to be part of your to-do list. You never know when inspiration will hit you. Be prepared with a dedicated notebook that you carry with you everywhere. Post-its get lost, believe me. You need something substantial that you can keep up with. I recommend going with a smaller, easy to tote notebook that you can stuff in your pocket. There are a lot of attractive options including Moleskine, Field Notes, Rhodia, and even Mead if you’re on a bare bones budget. There’s something so very tactile when you write notes by hand. Personally, I find it relaxing. However, if you can’t bare the thought of lugging one more item around with you, consider using an app on your phone. Use writer-friendly note taking apps like Transom and 1Writer to jot down your thoughts on the go. You’re a writer, so I know one thing about your personality—you’re obsessive. You tend to hold characters, stories, plot lines, dialogue, and themes in your mind with unflinching preoccupation. Obsession often leads to mastery, but it can also lead to madness. 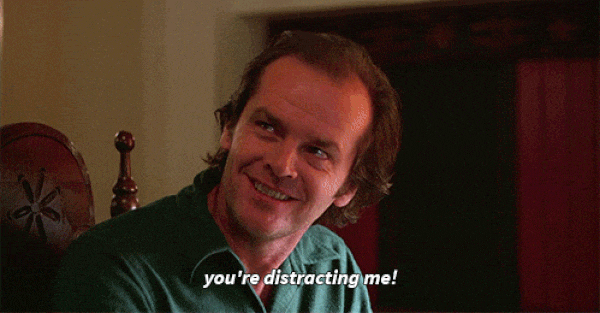 The good news is you have something to interrupt your fixation, and it’s one of the biggest benefits of working a full time job—distraction! While you’re distracted with your day job, you get much needed distance from your story. That way, when you return to your characters, you’ll be able to see the story with a fresh perspective. Sometimes, it’s just a good idea to quit your job (but not before you find another one). One day, you’ll get paid to write, but until that day comes, you’ll still need to pay your bills. Find a job that won’t leave you brain dead at the end of the day. You need a job that doesn’t intrude into your non-work life. Remember that all the time you have is right now. Don’t wait for someday when the conditions are just right to write. They’ll never be just right. They’ll always be another distraction—if not work, it’ll be something else. Make writing a priority and tell the story that only you can tell. Good luck! Don’t forget to grab our list of inspiration from fellow writers that you can print and post near your computer. It should be bear not bare. Don’t feel bad I had to read it many times until I figured it out. Call me old school, but I keep a dictaphone with me in the car and at the side of my bed. I find it a lot easier to pick it up and press the record button, even while driving, than to open my phone, click on the app and wait (which is against the law while driving in many places). At the end of the week I transcribe. It is amazing how many great thoughts, character ideas, even dialogue snippets are on that dictaphone yet would have been lost if I had not recorded them. Write on! Right on time (then again, when is this topic ever NOT on time? smiles ….)! Well-stated and catalyzing … thank you for such a helpful reminder. Yes – I love this! Finding a day job that has some element of meaning or enjoyment has been essential to keep my writing life sustainable. Because it’s still a 9-5, where I can clock out at the end of the day instead of taking work home with me, this provides that much-needed compartmentalization to find a good writing routine at home. Good luck, all! I have been telling my students to carry a notebook for.ev.er. They all fight me on it, groaning about journaling. I cannot imagine NOT having my notebook, and at least one pen (because: running out of ink in the middle of brilliance) and while I do use digital notetaking when I have to, I think there is still something very special about taking a pen to paper. With digital notes, once I’ve used the idea or snippet, I’m tempted to delete it, with pen/paper, I have it to use again and spark something new in the future. Love it! So nicely written. I am a teacher and I have been writing my book for a long time! I often find it difficult to find time to write let alone the energy. That being said, I’m not giving up. Your articles are always very timely and inspiring, thank you. Thanks for writing this post. I think the part that resonated most with me was the part about not waiting for the perfect condition to write! Thank you for sharing your insight. I go to bed each night at 8pm. I get up at 3am. I have coffee and write until 5:30am. Then i go to my construction job. Same schedule everyday. I write longer on the weekends. 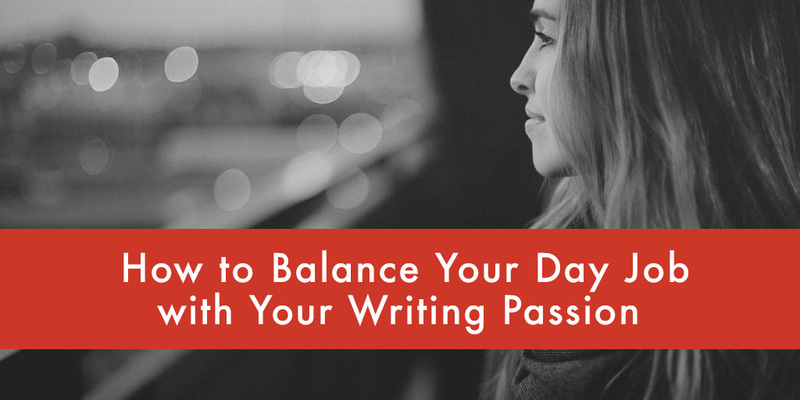 Inspiring tips, especially the partial list of writers with full time day jobs. One side note about JK being a rags to riches story; people need to stop with that. Her father was a Rolls Royce engineer and she grew up fairly privileged. When the media create stories like that it makes real poverty all the more invisible and negated. As for writing and day jobs, yes. I have a full time career and use Jedi mind tricks to prevent it from pruning my soul. I write down my dreams most mornings, then turn them into short stories which I blog on my phone at lunch and while doing cardio after work. Keeping an organized routine has helped me in all areas of life. I’m 40,000 words into my first book and have a second book outline completed. It can be done. Here’s a list of inspiration from fellow writers you can print and post near your computer. Subscribe to receive this extra resource.